Helijet is proud to connect these two iconic properties, located conveniently close to both Helijet Terminals in downtown Vancouver and Victoria. Fairmont Waterfront Hotel, adjacent to the Vancouver Convention Centre, Canada Place Cruise Ship Terminal and the transportation hub at Waterfront Station is the perfect location to base your trip to Metro Vancouver. Sitting majestically on the Inner Harbour for over a century, Fairmont Empress is the definitive Victoria experience. Afternoon Tea in the Tea Lobby, cocktails and West Coast dining at Q at the Empress or being pampered in The Willow Stream Spa at Fairmont Empress make every visit special. Fairmont President Club members receive 15% off travel (not applicable with other offers) between Vancouver and Victoria when staying at Fairmont Waterfront Hotel or Fairmont Empress Hotel. © 2019 Helijet.com. 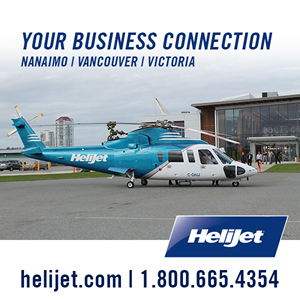 All rights reserved, Helijet International Inc.